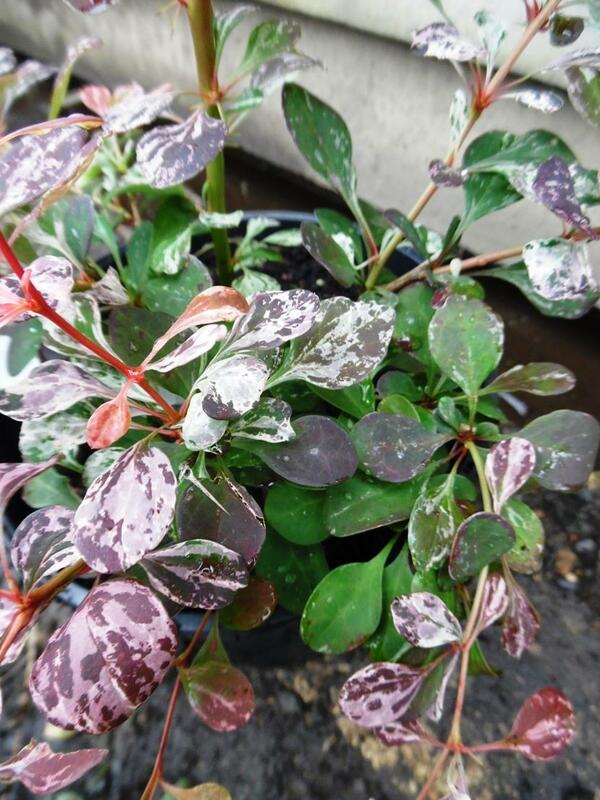 Berberis thunbergii f. atropurpurea Rose Glow - Barberry is a medium size deciduous form with small purple leaves with cream and pink mottling, maturing to purple. Slight red-orange autumn colour. Grows to about 1.5m.